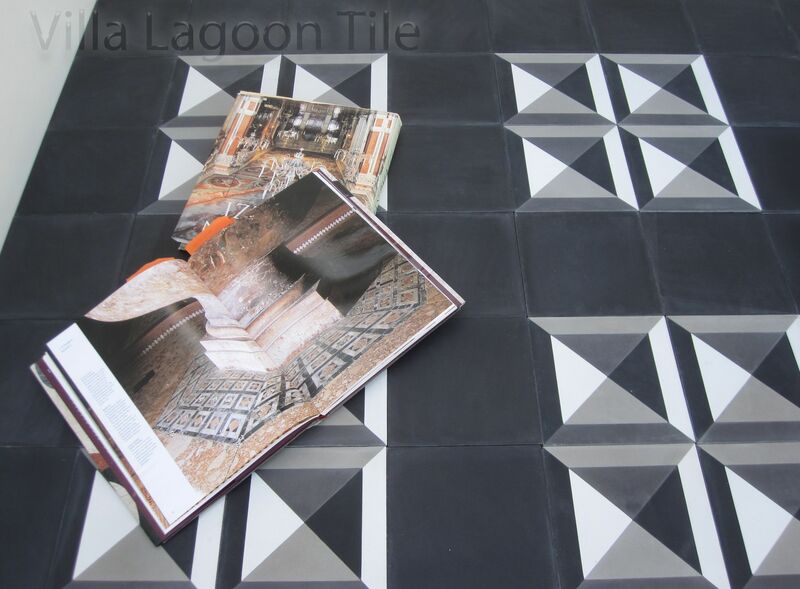 This is a 4-color 8" cement tile, using Black, White, Featherstone and Heron Gray from the South Beach Palette. 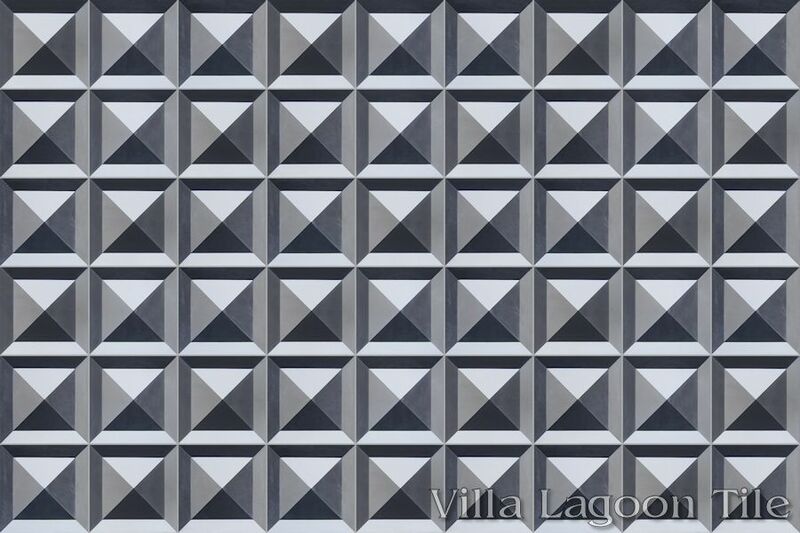 Our exclusive "Diamond Head" is a bold, geometric cement tile pattern full of potential. 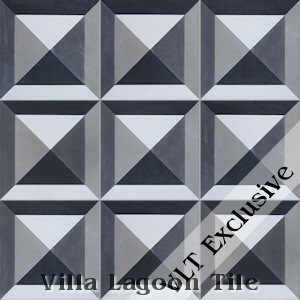 With the subtle use of different shades, this cement tile pattern can provide a faux relief, and take the appearance of leather studs, or decorative pyramid nail heads used in antique woodworking. 50 square foot minimum order (small order charges may apply under 100 square feet). This production of Ambrose has sold out, but will always be available as custom tile.